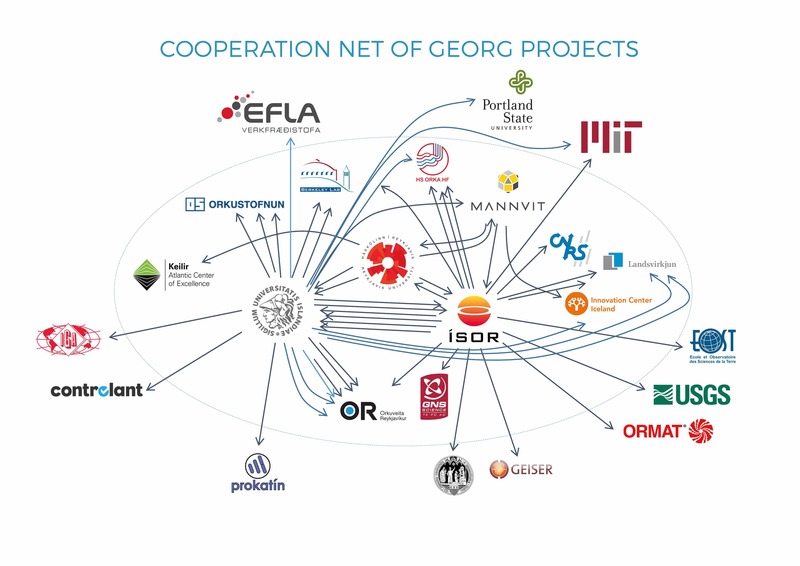 GEORG supported 22 research projects through open calls during the first phase of the cluster formation between 2009 – 2011. These projects then formed a basis for two large projects that combined the results from these projects, namely Deep Roots of Geothermal Systems (DRG) and Waste 2 Value (W2V). GEORG partnered with Arion Bank, Landsvirkjun and the Icelandic Innovation Centre to encourage the formation of startups in the energy field, yielding 21 startups through the business accelerator Startup Energy Reykjavik.